For the seafood lover--or for those who offer the freshest of seafood to their guests. Great buffet server. 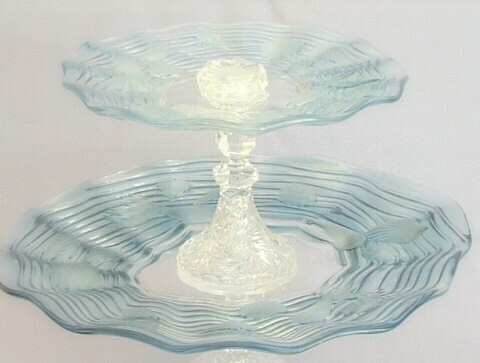 The glass plates are embossed with shells and sea life. 13.5" diameter x 13" tall, 6 lbs. 2 oz.